Sheffield United wearing black shorts and white socks isn’t all that unusual a look, with the club having had it again for the coming season. 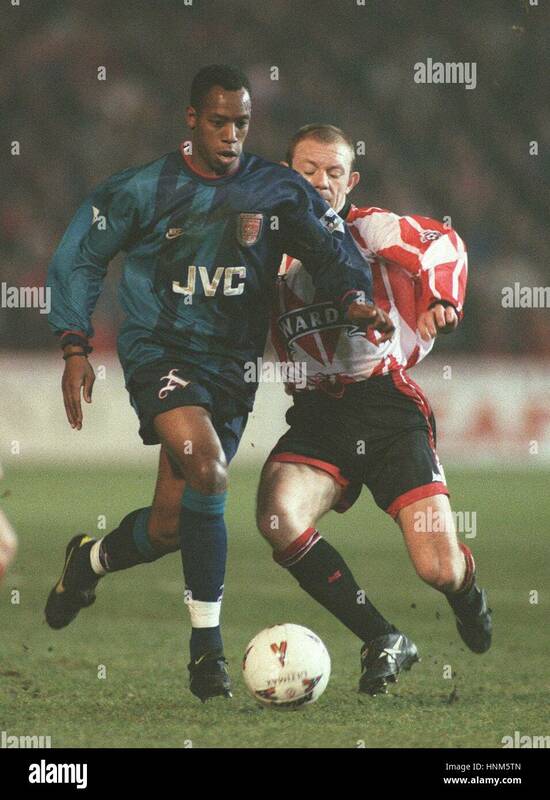 However, the circumstances of them in such a strip against Coventry City in 1998 were quite strange. Having beaten Bury, Ipswich Town and Reading, the Blades had to visit Highfield Road for their quarter-final tie. Nowadays, the cup is generally quite strict on shorts and socks clashing – contrast Arsenal and Swansea’s 2012-13 Premier League meetings with their cup tie – but things were a bit more acceptable in the 90s, with Arsenal allowed to wear navy shorts and socks against United’s black in 1996, for example. Perhaps that’s what United were taking as their precedent when they wore their default home kit, made by Le Coq Sportif, which had black shorts and socks, while Coventry -also in Le Coq – wore sky blue and navy striped shirts, navy shorts and navy socks. The sides were level at 1-1 at half-time, new signing Marcelo Cipriano having equalised Dion Dublin’s penalty, when referee Steve Dunn informed United that they would have to change socks. Thus, they reappeared for the second half with white sets – we are going to assume that they brought their away socks as a contingency, but there is a chance that they were Coventry’s away socks, which were identical except that they had navy accents instead of black. With no more goals, it was back to Bramall Lane for the replay, Coventry wearing sky blue socks as United advanced thanks to a penalty shootout. It meant a semi-final against Newcastle United for the Blades, and this time the shorts- and socks-clash was dealt with from the outset. Having lost the toss, Sheffield United wore their away sets with their home shirts, going down 1-0.